Since launching 15 years ago, The New Yorker Festival has become the biggest consumer-facing event for its parent company Condé Nast, not to mention one of the buzziest cultural events of the year, period. With speakers, performers and panelists, including Lena Dunham, Malcolm Gladwell, Neil Young and Edward Snowden (appearing via live video), this year’s program reads like a who’s-who of the arts, politics and everything in between. But The New Yorker Festival isn’t just about must-see programming. It’s also a major draw for advertisers looking to reach the magazine's well-read audience. 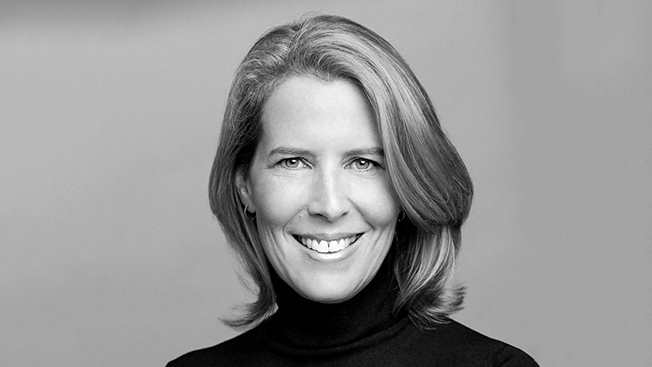 We spoke with Lisa Hughes, The New Yorker’s vp, publisher, about standing out in a crowded events market and some of the brand integrations at this year's festival, which kicks off on Friday. Starting with even the festival art, we commissioned three big New Yorker cover artists to come up with art that’s been in the marketplace since April. The amount of programming is the most ever with 60 events. It’ll also be the biggest crowd ever, which is very exciting. 15 years ago, The New Yorker was one of the only magazines with a live events business. Now, it seems like every magazine has followed suit. How do you set yourselves apart when pitching potential sponsors? First of all, people come from all over the country, and in fact all over the world, for this festival. Last year, we had 47 states and 26 countries represented. It really shows the strength of the brand and the connection that the reader has with this incredible institution. I also think the range of programming is very distinct from everybody else. You’ve got every bit of culture from performing arts, visual arts, poetry, fiction, avant-garde music, classical music, politics, technology, science, humor, Hollywood, TV … everything. It’s not just one-note, and I think that a lot of the other conferences can be one-note. How much of the brand’s revenue comes from live events? We don’t release that, but it’s significant, for sure. We work with some of our biggest partners—MasterCard is our presenting sponsor, Acura has been a longtime automotive sponsor of the festival, United, Stoli, Häagen-Dazs and so on—on these custom deals, which are all multiplatform, so they might be doing print, they might be doing tablet, phone, app, Web and everything in between. We also do activations for them at the festival that are very bespoke to that year’s marketing objective. Tell me about some of the sponsor integrations this year. MasterCard, as I said, is our presenting sponsor. If you’re a cardholder, you have access to tickets before they go on sale to the general public. Really building on their Priceless Surprises brand platform, they sponsor a sweepstakes where attendees can win different prizes from the magazine. They’re also the sponsor of The New Yorker festival app, which includes a complete program, ticketing information, neighborhood guides, and lets you build your own itinerary. MasterCard has wonderful native placements throughout, so users can see any Priceless opportunities that they have in and around New York. We also have a United Airlines lounge, Häagen-Dazs will be sampling their new gelato bars, and Stoli will be serving special literary-inspired drinks at different venues. What’s the coolest brand activation you’ve worked on for the festival? There have been so many. Acura has been our longtime automotive sponsor, and one of their brand pillars is innovation and technology. So this year, we’re doing a life-sized New Yorker cartoon photo booth that lets attendees go in and take a photo and then immediately communicate it to their social media channels. I think that’s a good example of using social to spread a brand’s message. This is the first year that Condé Nast Entertainment will be involved in the festival. How will that work? CNE is shooting select festival videos, and Acura will be sponsoring them. They’re also shooting some behind-the-scenes videos that Acura will be able to use in their own branding campaigns. What’s next for the festival? We’ve always loved the idea of bringing the festival to other markets, so we can imagine having New Yorker Festival Chicago or L.A. or San Francisco. We have huge readership in those markets. Those are important advertiser markets as well. That's always part of the discussion. If we have the right sponsor and demand for that, we’ll certainly do it.